Happiness IS the best stunt ever! What beautifully wise words! There is an important lesson here. Actually before I went to the uni, I had this big ambition of becoming a mechanical engineer. Well, fate got in the way. I graduated as a chemist. The course of our lives are influenced by a quite a number of things. If we are lucky, the new dimension turns out to be a great one as well. I’m proud of you friend. And thank you for taking me down memory lane. Wonderful story! And a great title to hook me in. Your love for the stunt boy and man shines through your gorgeous prose. Makes me want to know your brother. Your story warmed my heart and the most beautiful precious gift to me. And around my birthday. 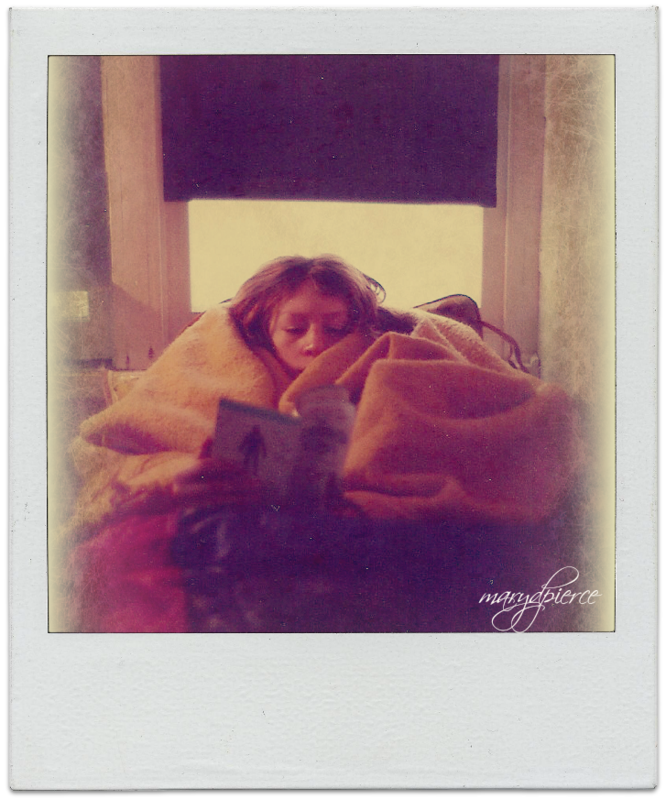 In that picture with the boy wrapped up reading in the cold winter’s night, I thought at first it was you. Then I studied it again and it recognized him. Yet, as I gazed at it for a while, it became Kathy’s face. You three resemble one another very much. The photo, I wish I could have a copy of it. I’d have it enlarged, framed and hanged on my bedroom wall. the wall facing me, so that it would be the first picture I saw upon waking up for the rest of my life: However many years I’ve got left in the life time. Your work is always delightful, Mary, but you really did it this time. Your Mom and your brother are blessed – and so are the rest of us who get to share in this. A subtle stunt of great difficulty. Fun story! I could see him at each stage. Your love for him comes through, Mary. Lovely! Wish I were closer to my own brother. He lives far away, in more ways than one. Oh my. I feel for your mother! Lovely character study. Oh how I remember those stunts. Thank you for not only sharing the past, but connecting it to the man our brother has become. And this picture tells a story that needs no words! You are such a wonderful, loving big sister. This piece reminds me how much I’ve always enjoyed your family stories. More, please. Oh, Mary. It’s just beautiful. I loved this, Mary. Beautiful writing and lovely character. It touched my heart and made me smile. Thank you! When people write something that matters, something that is truly important to them, I feel as if I’m stealing as I read the words. And I don’t care, because I know they want me to take it. Take it, like a kid would take it. Take it and run, all the way to the moon, if my legs carry me that far. And one more thing, again…Wow. I love this story Mary. Love, happiness, family…the most amazing stunt there is for sure. I keep reading this over and over again, and every single time I cull something new and brilliant from its heave. I nominated you for a blog award, as if I had a choice in the matter. You’re an inspiration, lady. I got ahead of myself there. Here’s the link. Sorry. Traveled over from Susie’s blog and I’m so happy I did. What a wonderful story, I can see the boy practicing his stunts and growing up and finding other paths. Reminds me a lot of my cousin who was always a little daredevil. He grew up, worked on a farm for awhile, and later became a mechanic and found a good woman. My how life does shape us. Thanks for stopping by Kitt! I’m glad my brother’s story has turned out so well. I wasn’t always sure it would. And absolutely, happy endings are the best stunt!! This was great. I love it because he’s a dreamer started out as a stunt man and now he’s a scientist/engineer literally reaching for the stars. NICE! MUY NICE. Thanks, Guat. Glad you stopped by, and that you liked the story. My brother is still a bit of a dreamer. I’m happy because I get to spend this weekend with him. I’ll tell him you said, heh. Hi Mary! Susie sent me over too and I’m so glad she did. I’m always a little wobbly after leaving the partays at Wild Ride – soooooo much fun! This is a touching, delightful, insightful and just plain SO good post! So nice to meet you this way. Thank you, Patricia. That’s very kind of you to say. Just came from your place where I drooled all over your photos. I apologize if they’re a little damp. I’ll bring a bib with me next time! Such a sweet memory! I love your progression of time. Thanks, Susie. And, yikes, sounds like your brother was definitely not stunt man material. Sorry for your trauma. I feel your pain. My sister killed my goldfish when she kept trying to scoop it out of the water to “pet” it!